I barely go out, and everytime I do, I never forget to bring my pink kikay kit with me. To be honest, as much as I am into cosmetics, I only bring few pieces of make-ups with me everytime I go out. Aside from the reason that I want to save myself to carry heavy bag, I don’t really touch up unless the situation calls for it. I don’t know, maybe that’s how lazy I am, and the fact that I don’t wanna add up to the crowd checking their faces in washroom mirror. 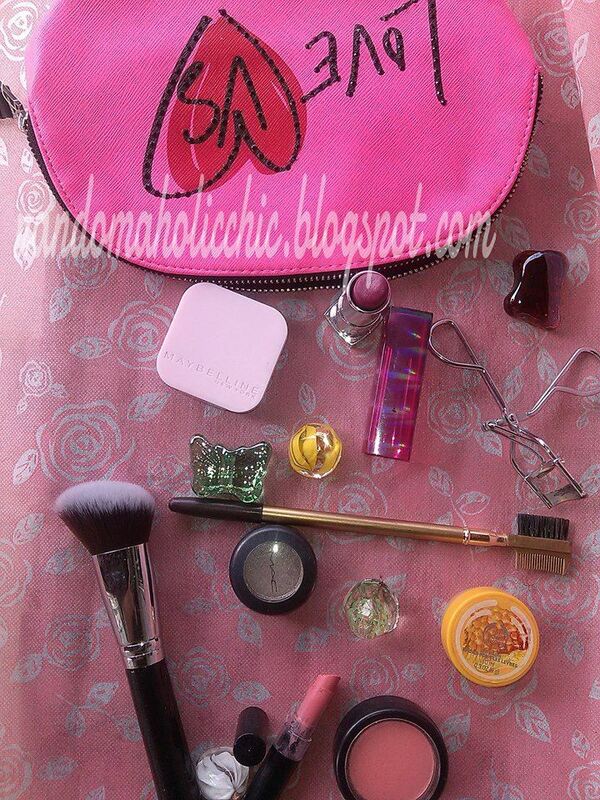 So for the record, let me share to you what’s inside my make-up bag. As you have noticed, I bring two lipsticks; one in Naked Peach (Colour Collection) and one in Berry (Maybelline). This two are my most used lipsticks at the moment. They are both moisturizing and lasts for for more than four hours on my lips. I have a review of Colour Collection lipsticks at this link (click here). Lipbalm has become a must on my makeup pouch. You can click here for my review on The Body Shop Lip Balm. Maybelline no-shine refill powder is my to-go powder because it keeps my face shine-free. I bring the refill because it saves a lot of space. If you will ask where I got my eyelash curler, it is just the cheap ones you can find in supermarkets or in side walk vendors (bangketa). I don’t think I need the pricey ones since this eyelash curler can already do the job of holding my lashes and giving me that result that I like. Yes, there is no mirror, since I only do touch ups in restroom area. If by chance I need to touch up outside the restroom, I use my mobile phone as a mirror. That’s it! 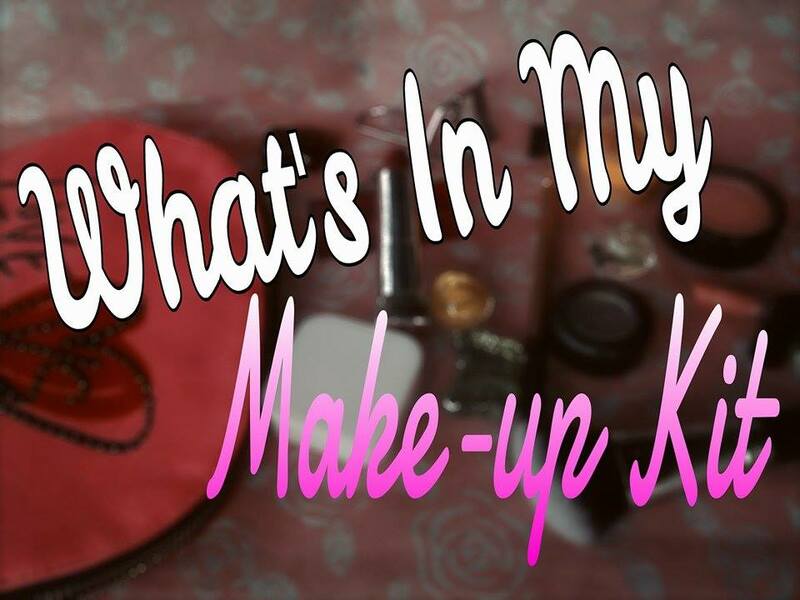 If you have blogged about what’;s in your make-up kits, please feel free to leave comments down below so I can visit your blog, too!